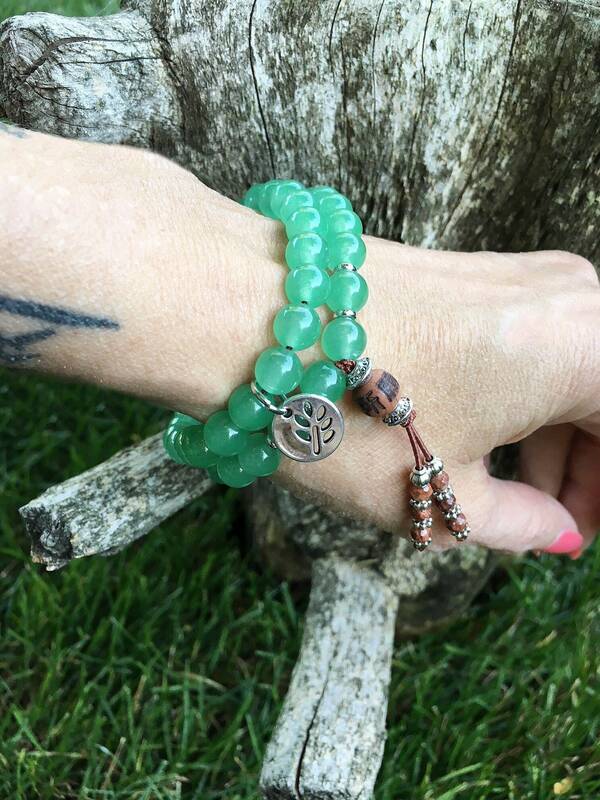 The New Opportunity Double Mala Bracelet features gorgeous Green Adventurine gemstones and tiny faceted Picture Jasper gems, along with a carved cedar wood ancient prayer bead and a delicate silver tone leaf charm to help you release old thought patterns and start manifesting the wealth you deserve. 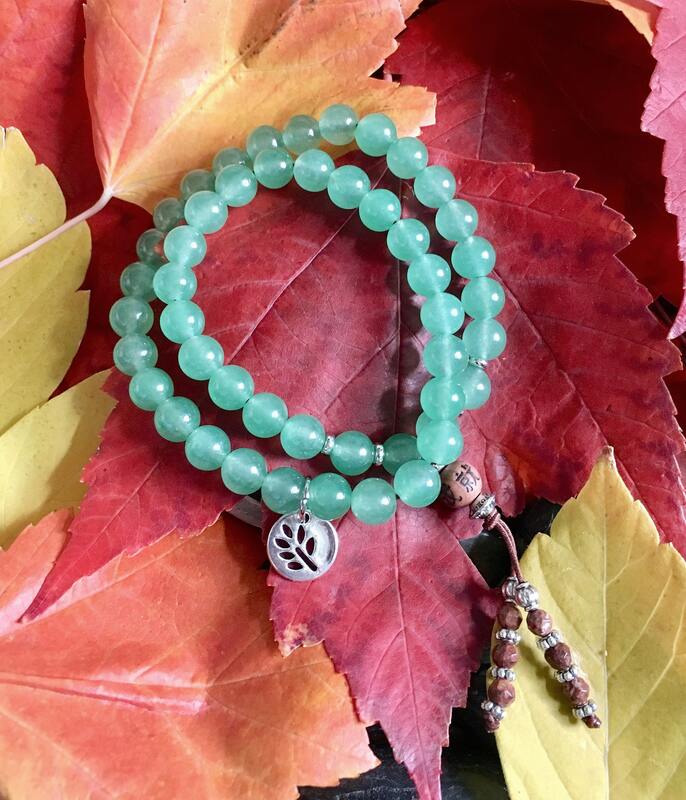 This bracelet wraps gently around the wrist twice offering double the healing vibrations. 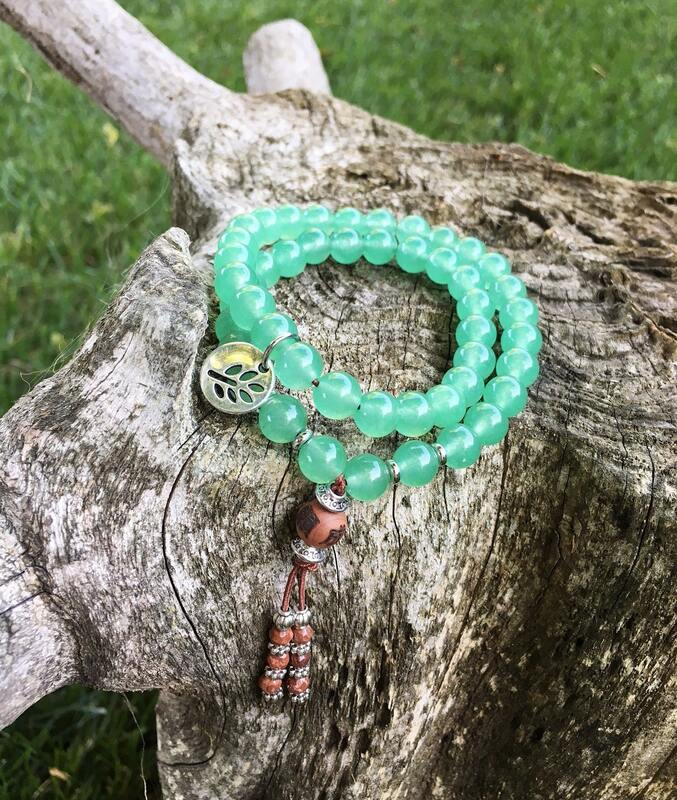 Green Aventurine is known as the “stone of opportunity,” thought to be the luckiest of all crystals, especially in manifesting prosperity and wealth. 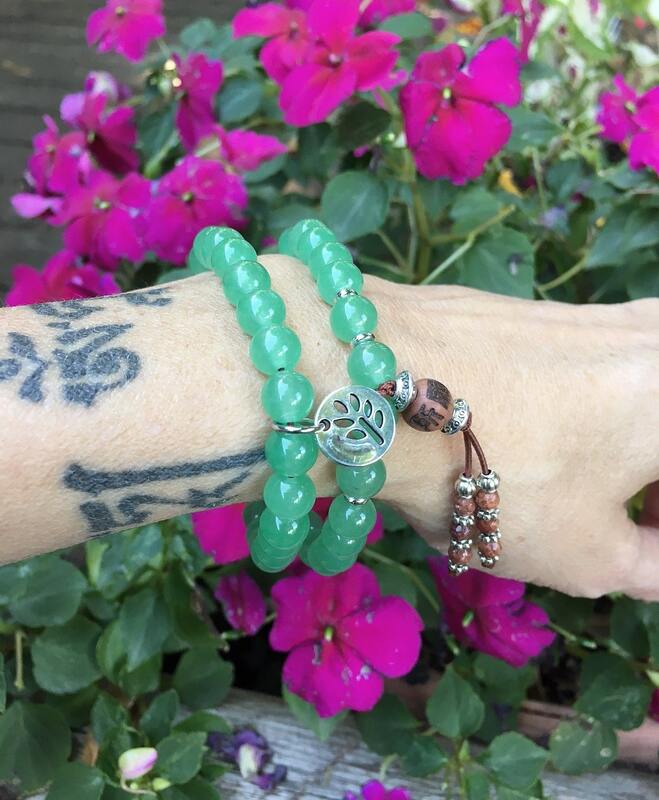 Green Aventurine helps you release old patterns, habits and disappointments so new growth can take place. It brings optimism and a zest for life, allowing one to move forward with confidence and ease. It enhances your creativity and motivation and helps you overcome life’s obstacles. It also helps with decision making and amplifies leadership qualities. Crystal healing has been used for thousands of years, dating back as far as the Ancient Sumerians. Each variety of crystal has a unique internal structure, which causes it to resonate at a certain energy frequency. It is this vibrational resonance that gives crystal gems their healing abilities. Crystals and gemstones alter and shift our vibration by awakening the cells within our bodies that are vibrating on a lower frequency. They engage with our cells to lift our vibration so that they all are vibrating on a similar wavelength. This creates a peaceful environment within the body, enabling well-being to flow. Each crystal interacts with the human energy field differently and can magically move, absorb, focus, direct and diffuse energy within the body.